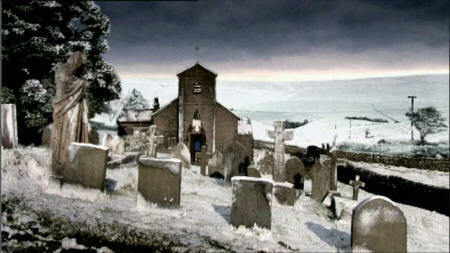 Its Royston Vasey, and this is The League Of Gentlemen Christmas Special. A transition point for the series which started as a series of sketches linked by a common village, the Christmas Special was the first without the canned laughter, and was a lot more ambitious in scope. Its Christmas Eve and the local vicar is about to get three visitors who will tell spooky stories with a very unsettling ending. It was a highpoint of the year 2000 Christmas season and you can revisit it all here. Just watch out for the yellow snow.